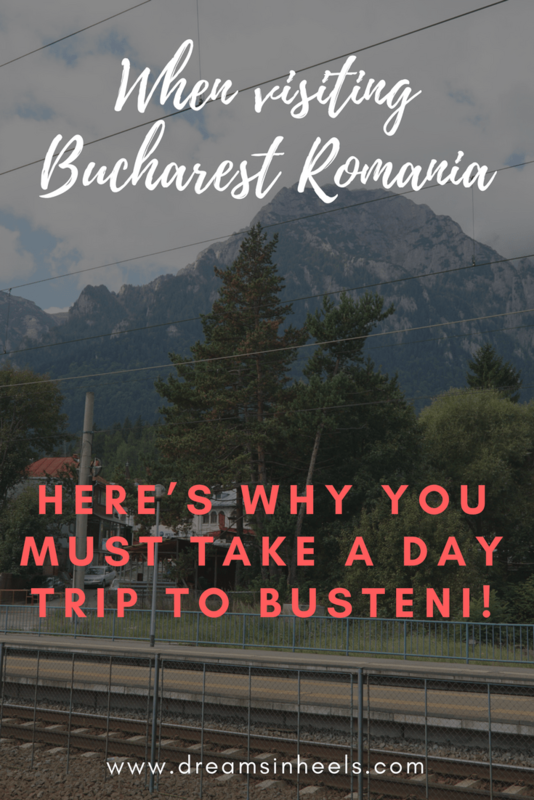 When visiting Bucharest Romania, here’s why you must take a day trip to Busteni! For those of you who never thought about visiting Romania, think again! Romania is a great country with lovely people, amazing food and rich culture. 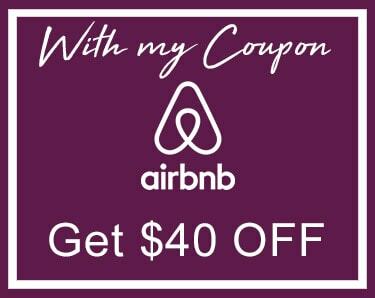 It is located in Eastern Europe and it’s very budget-friendly. If you decide to go to Romania, of course everyone’s first thought is Bucharest. I also suggest that you take time to visit other parts of the country as well. In my opinion, it’s the smallest cities and towns in Europe that always have a special charm, especially if you are into architecture or outdoor adventure. With this in mind, I would like to highlight a small mountain town in the north of Prahova County, in central Romania, named Bușteni. Here are my top three reasons why you should consider taking the day trip from Bucharest to visit there. Bușteni is located at the bottom of the Bucegi Mountains and has a maximum altitude of 2505 m. Its population consists of 8,894 inhabitants. You can rent a car and drive there, but I suggest for you to just catch a train which only takes 1 hr 49 mins. and costs around 22 LEI (€5). It’s only 147km away. Plus, you can better enjoy the scenery while lounging on the train (vs. driving). We left from the Gara de Nord train station in Bucharest (example of the route we took on the image below). 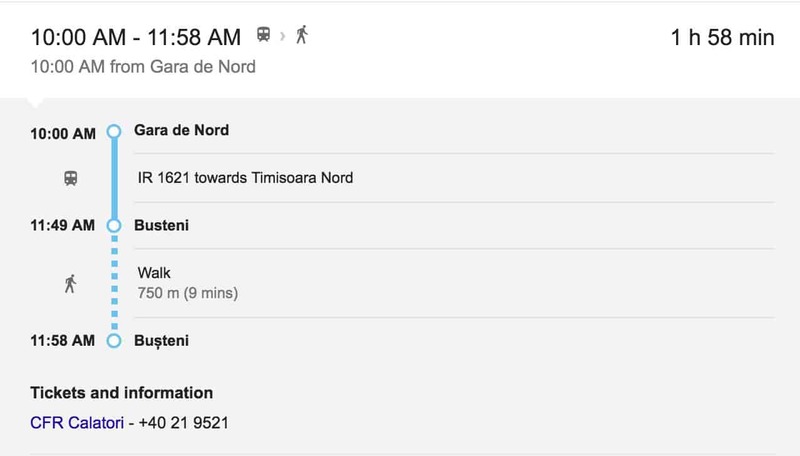 NOTE: The train direction is towards Timisoara Nord. Optional Directions by car: It can be reached by car driving along the DN 1 road (136 Km from Bucharest, 35 Km from Brasov). 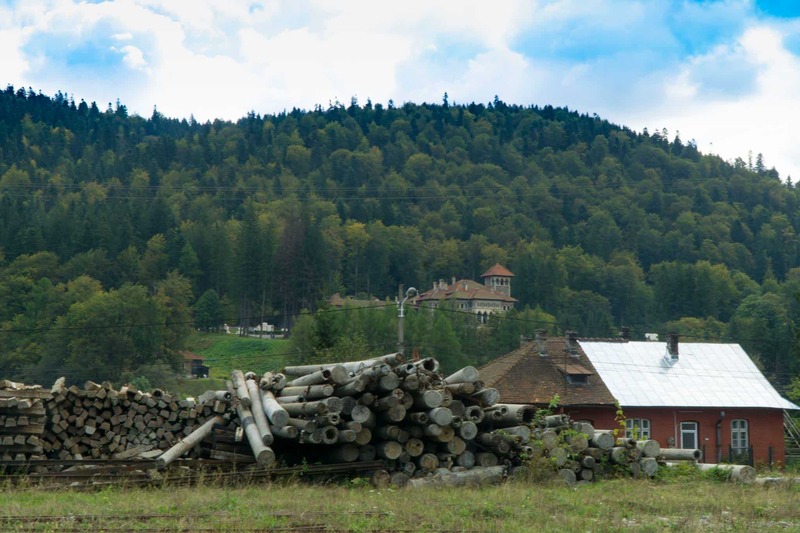 Fun Fact: Bușteni literally means tree-logs in Romanian and you will definitely see much of those as you near the destination. Bușteni’s average altitude is 900 m. It is one of the most popular mountain resorts, offering spectacular views, with lots of year-round tourism opportunities, ranging from skiing to mountain climbing, and hiking. There are beautiful waterfalls and, as you go up higher, you can also admire the wildlife. 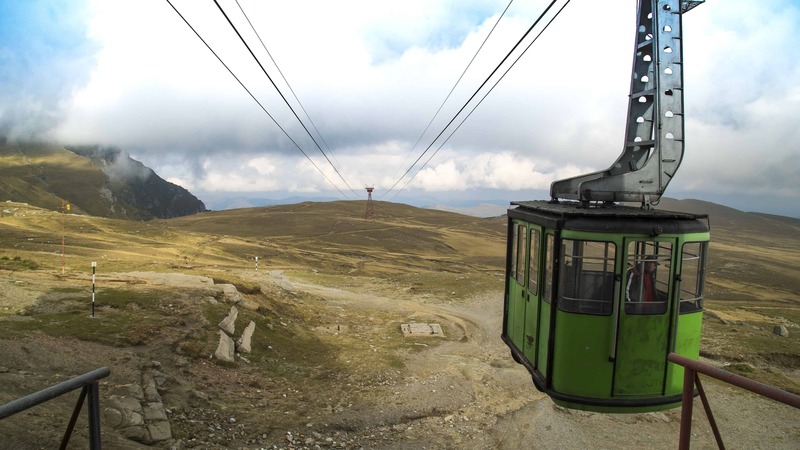 If you are not into hiking, you can go up in a cable car then enjoy the stunning views from the top. It is the perfect panorama for photo-op opportunities or to simply relax, breathe in some fresh air, and enjoy the tranquility. 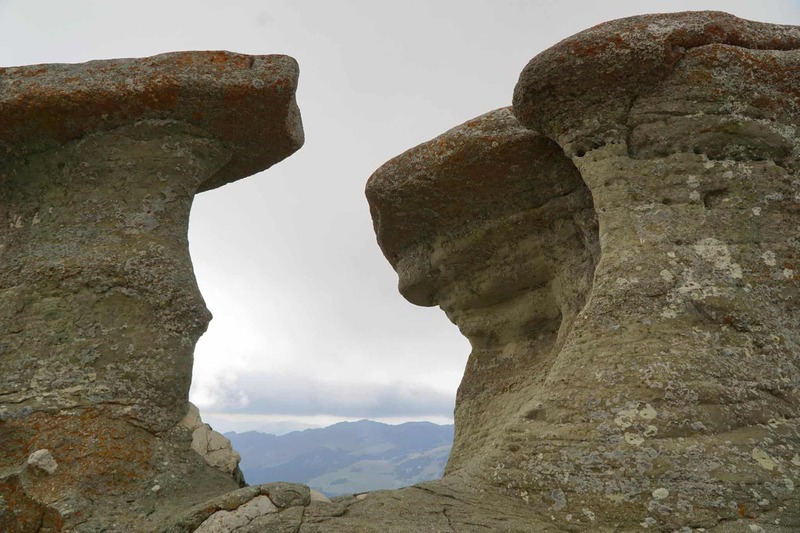 At the top of Bucegi Mountain, there is this natural rock formation in the shape of a Sphinx which, based on comments from locals (especially people I met on the train), is considered to be a sacred place. 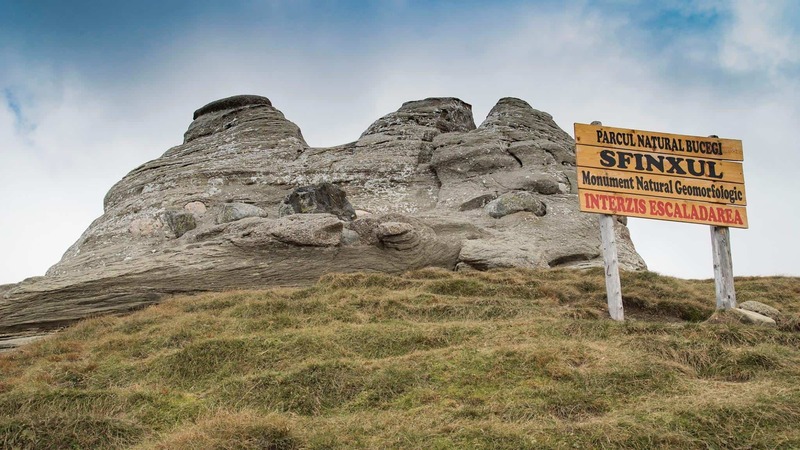 Many people report having felt “vibrations” when visiting this mountain. In the past, I felt a special, spiritual connection to the Covadonga Mountain in Asturias, Spain which is why I am not surprised by hearing someone experiencing this elsewhere. Everyone connects differently to certain places. This is the magic of traveling and discovering each place for yourself. 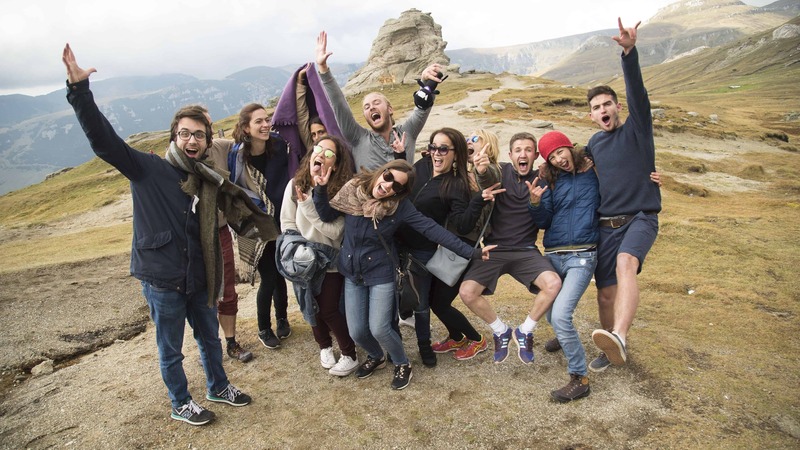 In summary, if you are into nature, adventure, exploring small towns, watching spectacular views, creating new memories, Bușteni is perfect for you! A day trip to Bușteni will take you from the hustle and bustle of city life to a heavenly, outdoor escape. Have you ever visit Busteni or other towns/cities in Romania? Share your experience below. Ready To Pin it? Here are some pins made with love just for you. Join the Pinterest Revolution! The Bucegi Mountains are always spectacular, especially during winter season. Although , some hiking trails are just for experienced hikers, the snowy landscape is gorgeous! Did you learn any Romanian? Quite a few years ago a woman from Romania told me that if I know Spanish, it’s not a hard language to learn. Yes I did learn some romanian. That woman was totally right. Romanian is similar to Spanish in many ways. It is a romance language. I was surprised at how many words they use, that we use too. Many times, people only understood me because I spoke to them in Spanish and not in English. Wow. Romania is so beautiful. 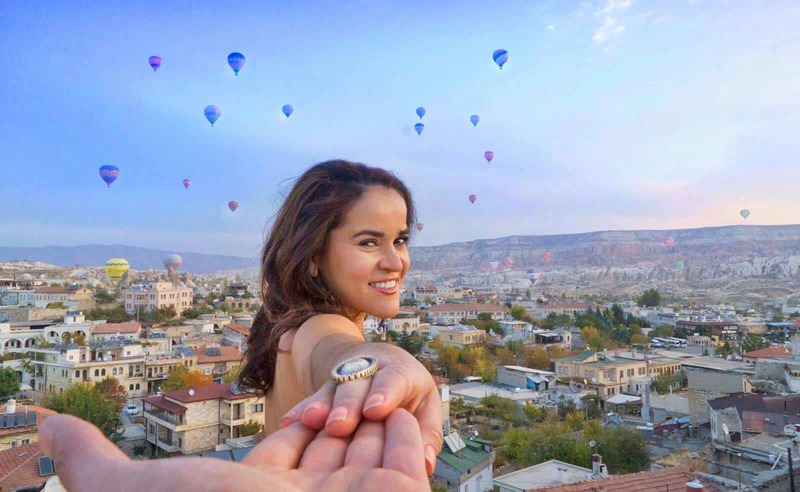 It is definitely on my bucket list. I just need to find a travel buddy! I love how beautiful the nature is, but would love to experience the food and meet the locals. And well, castles are my favorite thing ever, so that would keep me busy!